Dynamic and responsive webpages can be created to respond at exact moment when something happen with the help of jQuery Event methods. 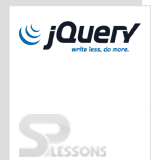 jQuery syntax is very simple or more powerful. The hover() method will run when the user mouseenter and mouseleave on the selected HTML element. The first function is executed when the user place the mouse pointer over an element, whereas the second function is executed when the user removes the mouse pointer from that element. The focus() method will run when the element gets focus. 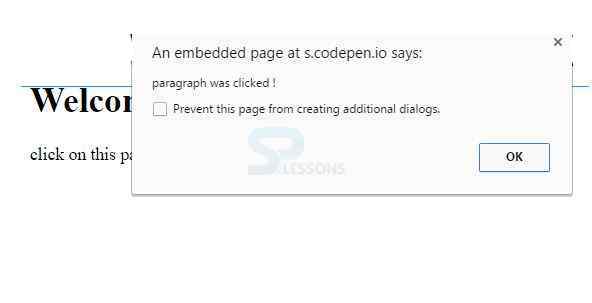 The following example will display a message when the text input receive focus. The keydown method is executed when a key is pressed down and the keyup method is executed when the pressed key is released. Actions which can be detected by a web page is known an an event. Click,hover,focus,key up and down are some of the jQuery events.